Anyone who has visited boston.com in the last couple weeks has noticed the complete re-design of their website. In addition to the different look many of the popular columnists and bloggers from the old site have been moved to bostonglobe.com, the paywall site for the Globe. One of the blogs that has moved is the 99 Bottles craft beer blog. In place of the regular beer reviews and information featured on the blog, Gary Dzen now writes a weekly Saturday column and a monthly Sunday feature for the Globe and bostonglobe.com. The 99 Bottles tasting chats will apparently continue. I understand the changes happening to the newspaper industry and the need to monitize the content published online, these are hardworking writers that need their paychecks. I just thought I would take a minute to remember the old 99 bottles blog, which had a huge influence on my growth into a craft beer enthusiast and on me starting Hoppy Boston. I started drinking craft beer in college, but my selection of beers was haphazard. I realized early on that I liked full flavor beers more than macro lagers, but I mostly stuck to Sam Adams and some of the Maine craft beers (Gearys, Grittys and Shipyard mostly). When I moved to Boston after graduation the local craft beer scene was still Sam, Harpoon and little else, but I started to notice the expanding selection of national (and soon more local) craft beer at the neighborhood liquor stores. When I started graduate school I was poor and overworked, and one of the only luxuries I allowed myself was good beer. I also lived in Allston near Sunset Grille and Deep Ellum, bars with great beer lists. I found myself trying anything new I could get my hands on, slowly but surely developing my palate and expanding my horizons. In all honesty, trips to the local beer store became a little overwhelming, there were so many options and I really had no idea what was good. I would usually grab random 22 oz bottles and give them a shot. I found some great beers that way, and also drank some duds. Then I found the 99 bottles blog, written at the time by Steve Greenlee. The blog focused on local craft beers, along with some national beers that were available in the Boston area. I checked the blog daily and used the reviews as a guideline for new beers I needed to sample. 99 bottles was my introduction to Pretty Things, Jack’s Abby, Mystic and many other local and national staples. I was initially not a huge fan of Belgian beer styles, but Steve’s praise for Jack D’Or led me to give Belgian beer another shot. Now many of my favorite beers are Belgian styles and I am devoting an entire season to reviewing saisons. When Steve moved to Maine (and who can blame him, Maine is awesome), Gary Dzen took over and brought fresh ideas and a new perspective. While I understand that things change, I’ll miss checking the blog for regular updates. 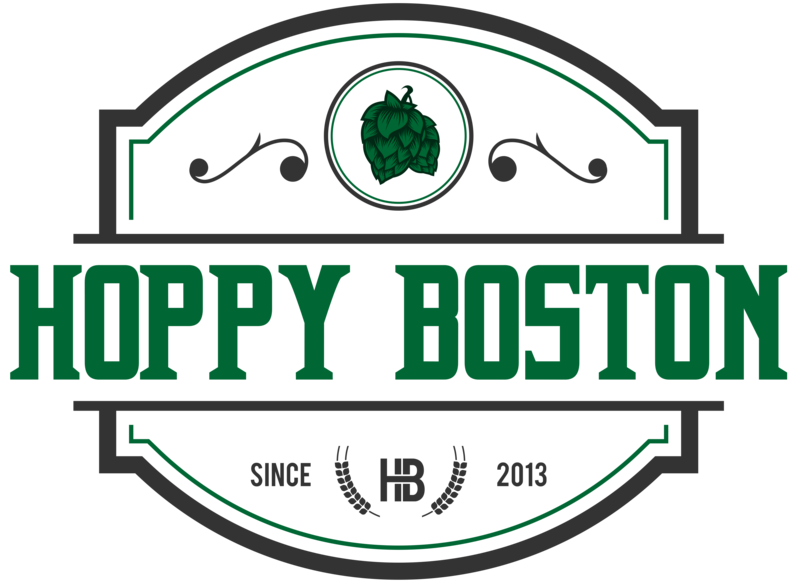 I started to write Hoppy Boston at the suggestion of a friend during a night out at one of the many great beer bars in Boston. Writing about beer is a fun excuse to grab a bunch of brews I’ve never tried and give them a shot. It also forces me to think about what I’m drinking, the flavor profiles and how the individual ingredients and techniques used to make the beer effect the final beverage. I hope that this blog results in a similar journey for some of its followers, or at the very least makes you excited to try some of the beers I’ve written about. One of the advantages to using social media to promote the blog is the connections I’ve made to a large group of people who are passionate about craft beer, many who write their own blogs or columns and give me new ideas and suggestions every day. I hope that the blog continues to evolve and improve, and that you all enjoy reading some of what I write. Feel free to pass along any suggestions!